CYMA's Payroll Software is an designed solution ideal for processing payroll for Directed Services or Fiscal/Employer Agents. Our understanding of the consumer/participant and attendant process has allowed us to create our Directed Services Payroll Software solution based on consolidation of employees into one company allowing for effortless Schedule R 941 and 940 creation. Processing payroll across a range of attendants is a straightforward procedure and retains the consumers EIN. CYMA provides a fully integrated financial and payroll application capable of managing smaller directed services payroll but, expandable enough to manage the accounting and payroll requirements for the more involved processes required for attendant services on behalf of their consumer. With a special relationship with Gray Swan for Medicaid and Medicare billing, CYMA is part of a complete healthcare solution for directed services from assisted living to disability assistance. 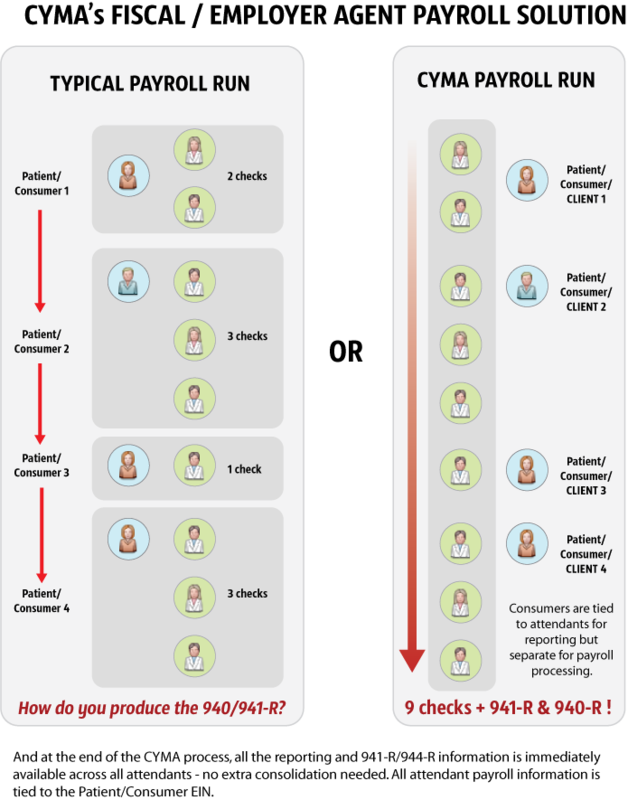 At the end of the CYMA Payroll process, all the reporting and 941-R / 940-R information is immediately available across all attendants - no extra consolidation needed. 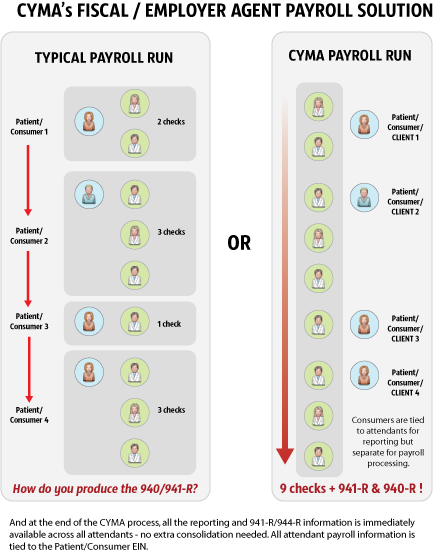 All attendant payroll information is tied to the Patient/Consumer EIN. Relationship with Gray Swan software for Medicaid and Medicare billing from a list of consumers and attendants. "We have been using CYMA for Payroll and CDS management since 2006. CYMA listens to our needs and has added dozens of features to enhance our payroll/quarterly tax processing. CYMA has saved us time and money."